The debate about Norwegian child welfare service (Barnevern) is heated with the notorious case of a Czech woman who was deprived of custody of her two sons by Norwegian Child Welfare in 2011. The conflict between the Norwegian authorities and the biological mother has been repeatedly discussed in the Czech media. 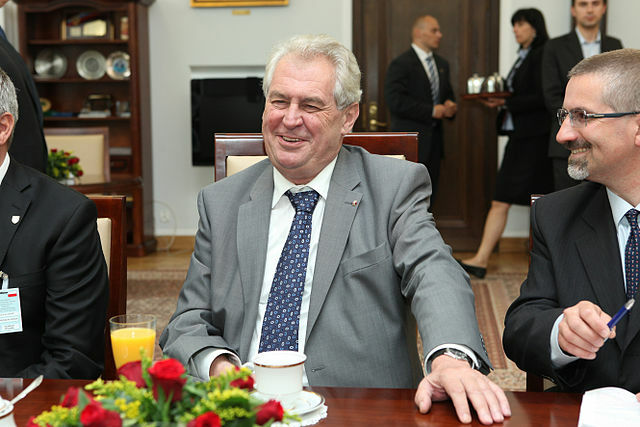 Now, the Czech president joins the debate. In an interview, Zeman accuses the Norwegian authorities of assimilating Czech children in the hands of child welfare (barnevern), writes VG. – The children are in foster families, which resemble Lebensborn. Their mother can see them for 15 minutes twice a year, and she is not allowed to speak Czech to them, claims the president in the interview with the Czech media. The president accuses Norwegian authorities of depriving their children of their Czech heritage. – The Norwegian system teaches them to become young Norwegians, says Zeman. Lebensborn e.V. (literally: “Fount of Life”) was an SS-initiated, state-supported, registered association in Nazi Germany with the goal of raising the birth rate of “Aryan” children via extramarital relations of persons classified as “racially pure and healthy” based on Nazi racial hygiene and health ideology. Lebensborn encouraged anonymous births by unmarried women, and mediated adoption of these children by likewise “racially pure and healthy” parents, particularly SS-members and their families.